When you stay at all-inclusive Creta Maris Beach Resort with children, the little ones cannot get bored. There’s so much to do right here: fun and lively disco nights evenings before 9 pm, water slides, mini golf, and many other active pastimes for all ages. We even have arcade games to keep boredom at bay. 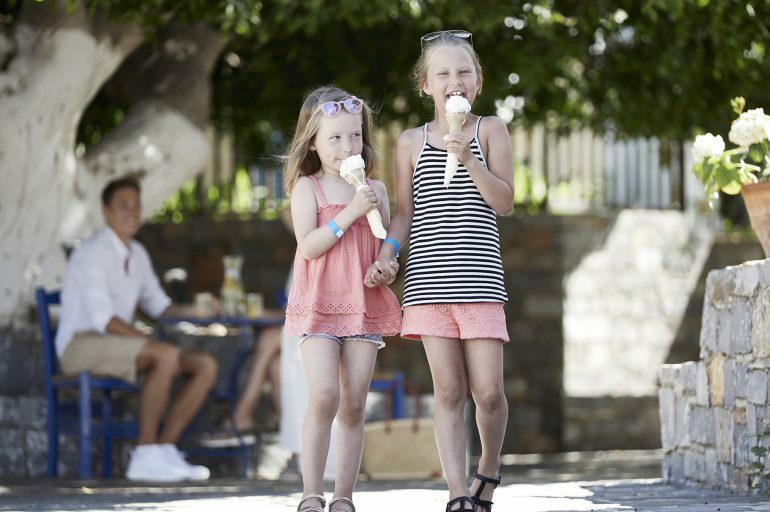 But, sure, you will want to adventure past our gates to discover Hersonissos with the little ones, so here are the top five things to do when you visit this part of Crete with children. The Aquaworld Aquarium & Reptile Rescue Centre is one of the most exciting destinations for little inquisitive minds in Hersonissos. It’s open from the first day of April until the last day of October every year, just in time for the tourist season, but also welcoming many of the local kids who want to learn more about snakes and the marine fauna. 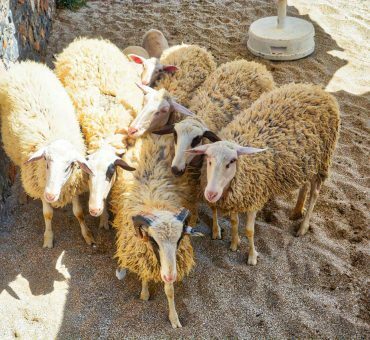 This attraction is located close to the Port of Hersonissos, and just ten minutes (OK, 15 if you visit with little children) from Creta Maris Beach Resort. Give yourself and your little ones some time: Acqua Plus is a destination that can take hours of a day, if not a whole week. Or more. This is right now the largest water park on the island, with thrills galore, extreme and child-friendly waterslides, relax areas and all kinds of games. The Lychnostatis Open Air Museum is one of those local attractions that entice children with a wealth of educational programs that chase boredom away. Luckily, the museum is equally appealing for grownups. It boasts beautiful ethnographic and folk-art collections, plus a variety of items relating the pre-industrial technologies employed by the locals in the not-so-distant past (and some, even today!). They offer tours in Greek, English, French, Deutsch, Dutch, and Russian. Just like Aqua Plus, the Labyrinth Park is not touched by the sea. And yet, it’s one of Crete’s top destinations for families visiting Hersonissos with children. It’s a scenic spot, with lovely views of the town of Hersonissos, all kinds of educational materials relating about the life of the Minoans on Crete and the history of Knossos, and sure, a labyrinth designed by Adrian Fisher. The Menelaos Parlamas Museum of Rural Life is not a spectacular destination, yet it offers a lovely respite for little island explorers. They offer education programs for children of all ages. Check them out to see what’s on when you decide to visit. 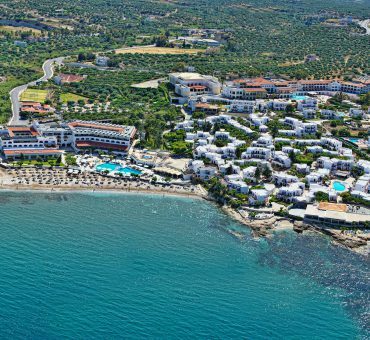 When you stay in Hersonissos with Children, you are also close to other impressive, age-appropriate Cretan attractions, including the Dinosauria Park and the famous CretAquarium.